Although we don't care to see them in our rearview mirrors with their lights flashing, we at Jalopnik are generally fans of the police car. They're just like regular cars, except tougher and built for fightin' crime. 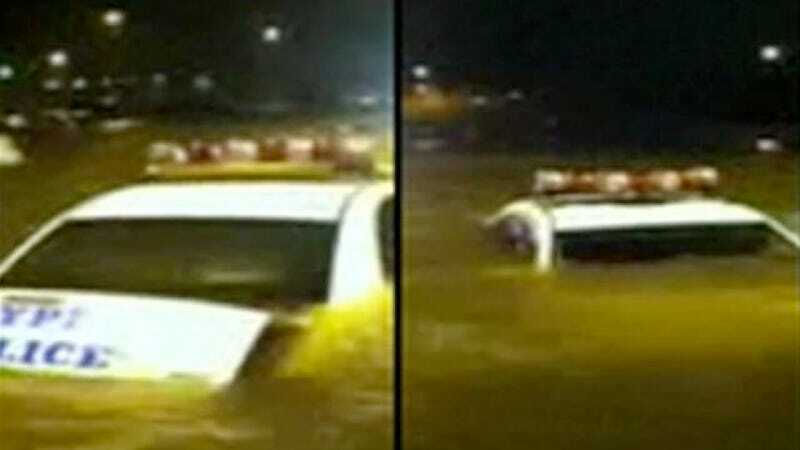 That's why we were pretty sad to learn from Gothamist that 194 New York Police Department vehicles were destroyed during Hurricane Sandy's flooding. Sorry, guys. Though the NYPD boasts a fleet of several thousand police cruisers, this is a huge setback for the folks in blue who are working to get the city up and running again after the storm. Presumably, some of those cars were Ford Crown Victoria Police Interceptors as well, and that makes us extra sad.